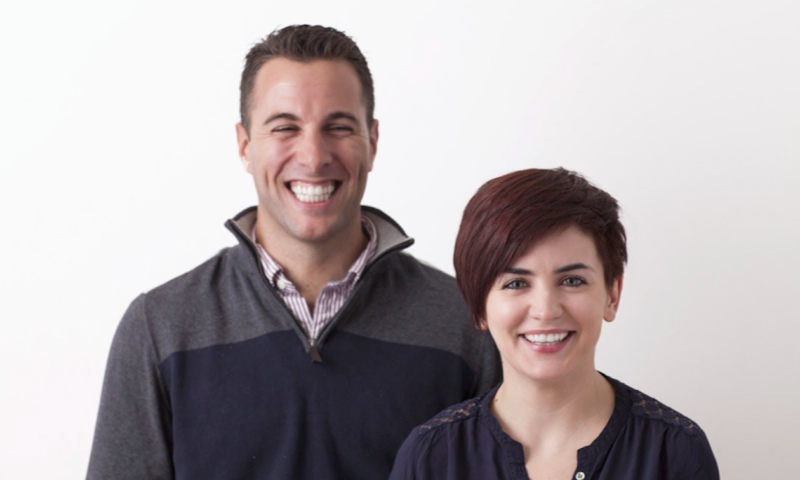 Cathryn Lavery and Allen Brouwer created BestSelf Co. as a personal project wanting to increase their productivity at work. The two were both passionate and motivated, but often lacked the daily progress they knew they were capable of. Wanting to change the cycle, they looked for inspiration from those they admired and knew to be successful – what made them so different? Cathryn and Allen searched for a planner where they could put these new principles to use, but couldn’t find anything on the market that met their needs. The planners and journals they saw were uninspiring, and with a year’s worth of entries, too long of a commitment to stay engaged. So they decided to make their own, calling it the SELF journal. The SELF journal is different. It sets out a three-month plan so making goals and sticking to them is much more approachable. Not only that, the journal also includes roadmaps to success, inspirational quotes and even habit and happiness tracking. It was a game changer for their productivity and people around them noticed. The interest they received from friends and family was the momentum that Cathryn and Allen needed to turn their idea into a business. They knew they had a great product, but before jumping all in, they wanted to see whether complete strangers would agree too. The SELF journal was put up on Kickstarter with a goal of $15,000 to get the new business off the ground. It took just 34 days to raise $322,695 – confirming that yes, people were definitely interested. “We launched on Kickstarter to validate the idea and fund the initial run of the product – and we pre-sold 10,000 units. From there we went to Shopify with the rest because we knew that people wanted it, and that’s when we started the business part of it.” – Cathryn. The two entrepreneurs knew that Shopify was where they wanted the SELF journal to live. Cathryn had previous experience selling on the platform, and its simple-to-use design made the decision an easy one. That’s when they discovered Shopify’s yearly Build a Business competition – where entrepreneurs use the platform to build an ecommerce store and showcase their new business in a competition against others. They not only wanted to enter the competition, they wanted to win – using their business idea as the very tool to get them there. Cathryn and Allen set their intention: win the Build a Business competition and spend a week getting mentorship from the same entrepreneurs they admired and researched at the start of their journey. BestSelf Co. opened for business on Shopify and grew so quickly that for months Cathryn and Allen didn’t have a moment to think about accounting or bookkeeping, nor did they have any kind of software in place. Midway through the competition, it was clear that needed to change. “One of the things we knew in January was that we needed accounting. It’s so interesting that we start our businesses with an idea and it becomes reality, but accounting is usually not something that you’re trained in. So it’s just overwhelming to start with that stuff,” says Cathryn. At this point, finding the right accountant to collaborate with was critical to their business. Afterall, “it’s the language of business,” says Cathryn. They chose Xero as their accounting solution after noticing the software was a sponsor of the competition, and since Xero and Shopify integrated so seamlessly together, it just made sense. “It hooks in with Amazon and Shopify so Xero gives us an overview of everything that’s happening. Shopify is our main channel that we focus on but it’s helpful to see what’s going the best, what the trends are and how profitability across the different channels differs,” says Cathryn. Wanting that same seamless fit with their accountant, Cathryn and Allen looked to the Xero advisor directory for help. They found Bookkeeper360 who referred them to Scott Scharf of Catching Clouds – a Xero silver partner. After spending months interviewing different accountants, it was clear that both Scott and Xero were the right fit for their company. The Xero and Shopify integration allows Cathryn and Allen to have full transparency of their company and their financials – something they didn’t have before. And the one piece of advice they want to give future Build a Business contestants? “Set up Xero as soon as possible,” Allen says, laughing. “We now know what’s vital in the business, what levers to pull at what time, what we’re capable of and what we can scale to without hurting ourselves. What we operate on is what we bring in on a daily basis, and knowing that margin is critical,” he continues. Xero and Shopify work better together. With Shopify, you can create a beautiful online storefront that’s designed with mobile in mind. When you couple that with Xero, you can focus on growing your business without the headaches of accounting and bookkeeping. The post How BestSelf Co. built a business with Xero and Shopify appeared first on Xero Blog.